Today is our 26th day here in Brazil. Man on man, what a game yesterday! Those Belgians and Argentinians really support their teams. They’re loud and they’re non-stop. Especially the Argentinians. There were times my ears physically hurt from the non-stop roar of songs, chants, cheers and screams of support for their team. Needless to say all of this added up to a really fun game taking in all of the sights and sounds of two good teams and their fans locked in battle. 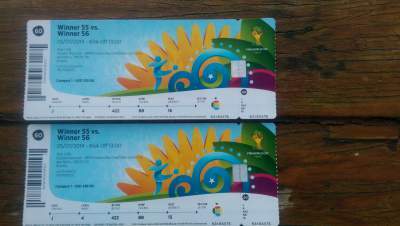 I can’t wait until this Wednesday when we fly to Sao Paulo to watch the Netherlands v Argentina match. The Netherland fans are some of the loudest, best supportive, best traveled, crazy dressed up fans we’ve seen at World Cups past so that should be a great treat mixed together with the insane Argentinian fans. The bulk of the day yesterday was flying to Brasilia, watching the match (we walked to and from it from our hotel), watching the Netherlands v Costa Rica game on the TV in our room and catching some dinner at Restaurante Francisco. It was a good meal but kind of an odd place from a wait staff and clientele stand point. More on that later in a separate post hopefully. Today our flight back to Rio de Janeiro wasn’t until 4:07PM local time so today was designated early on as a day to see some local sights in Brasilia. 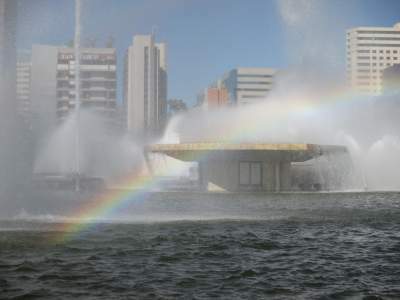 Brasilia is the capital or Federal District of Brazil. It was built starting back in the early 1960s by master plan from the ground selected to the streets throughout up to the tops of the federal buildings to be the Federal District of Brazil. Basically think of it as the Washington DC of Brazil which was built pretty much the same way. Today we saw the TV Tower (height and views of the city), the fountain of the TV Tower (pretty awesome fountain that throws off rainbows pretty much non-stop), the market area, the city park area, the cultural center and the most important monument of all for most Brazilians; the JK Memorial. Juscelino Kubitschek de Oliveira was a Brazilian politician and the president of the country from 1956 to 1961. He’s considered to be the first modern president of Brazil who was a long term thinker and planner that pretty much accounted for the construction of the modern Federal District of Brasilia. He was a very well regarded and well known politician that knew many and was regarded well by most world leaders of that era. Pretty cool to see things like pictures of him with JFK and Fidel Castro side by side along with photographs and gifts from people like President Eisenhower and the like. On the way out of Brasilia we caught a “quick” lunch at Coco Bambu. Good food but way too rushed trying to catch our flight to enjoy it. Other than the road being closed after we landed in Rio it was a pretty easy flight and ride back to the apartment. Did a little grocery shopping and a simple dinner in the apartment before calling it an evening. All and all and pretty nice weekend here in Brazil. Today is game day. 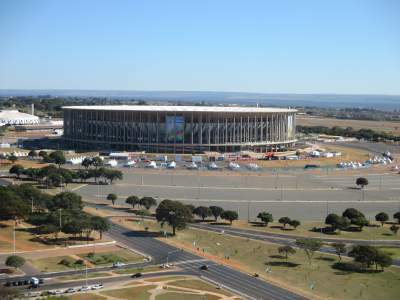 This post will be short because my computer is in Rio and I am in Brasilia for a quick overnighter to see the Belgium v Argentina Quarterfinal. Since the U.S. lost to Belgium we now follow Belgium that beat them into this game. Whoever wins this game we will follow into the semi-final in Sao Paulo mid-week next week. Then onto the holy grail. We’ll finally see our first Final game to the World Cup in the Maracanã, a holy grail unto itself in the soccer world. You really can’t beat this folks.